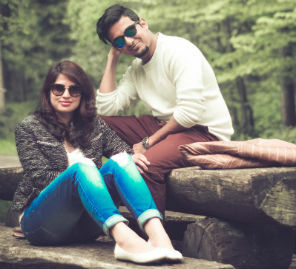 This couple’s honeymoon was all about beautiful sights and delectable gastronomy. The most spectacular sights over and under the sea, fabulous flora and fauna and all of it ensconced in luxury – it’s no wonder Seychelles is one of the most sought after honeymoon destinations in the world. Meanwhile, South Africa is known for its nightlife, wildlife and the good life. 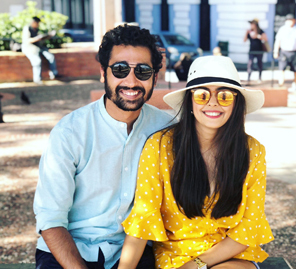 Suhena and Samvid decided to take their chance and planned an escape to the archipelago of Seychelles and then continued their honeymoon in South Africa. 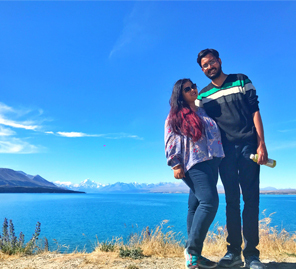 Suhena shares with us their travel experiences. We met a couple of years ago at my best friend’s birthday party. Our conversation was casual, mostly about our professions and it was pleasant meeting. We didn’t think much of it then and went our ways. A while later, Samvid reconnected with me on Facebook. His father’s company needed some mechanical parts my father’s company manufactures. (Something he’d figured out during our conversation at the party.) Then the conversation dried up again until I saw his company’s logo on a billboard on a trip to Ahmedabad. I sent him a photo of it. After that, we’ve never really stopped talking. About six months later we decided to get married. It took me almost no time to figure that this was what I wanted. Being with him made me feel like nothing I’ve ever felt before. The fact that my entire family loves him is just another big plus. I’m quite indecisive so I left the honeymoon planning to Samvid. He loves to plan vacations and fortunately, we both have similar tastes in travel and experiences. He was very keen on South Africa and we thought it made sense to stop by Seychelles en route. Our holiday in Seychelles is one we will cherish forever. There is so much beauty to see and we’d spend days on the soft sand and evenings in our private pool watching the endless water and clear sky as it turned vibrant orange at sunset. It was truly mesmerizing and being in his company made it even more special. Our visit to Franschhoek and Sun City was also amazing. At Franschhoek, we stayed in a vineyard and there was no dearth of great wine, champagne, cheese, and strawberries. Moreover, the place welcomes a select crowd so there’s never too many people. Sun City, on the other hand, was about partying all night! One&Only Cape Town houses a branch of the international chain, Nobu which serves mouth-watering Japanese cuisine. We gorged ourselves on seafood and drinks. The sake here was especially delightful. Have to say though, we also loved the good ol’ butter chicken we had at the Four Seasons Resort Seychelles. It was a surprise dinner my husband planned on the beach with a private butler and live musicians playing just for us. We saw the sun set while sipping on some fine champagne. It was amazing! Franschhoek - It is such a gorgeous place it deserves a visit even if just for a weekend. Staying in Cape Town for very long. While it is a nice place, it largely is like any other metropolis. The place is definitely worth stopping by, but we stayed there for about six days which was perhaps a lot.